Here are a few iOS Interview Questions for you! 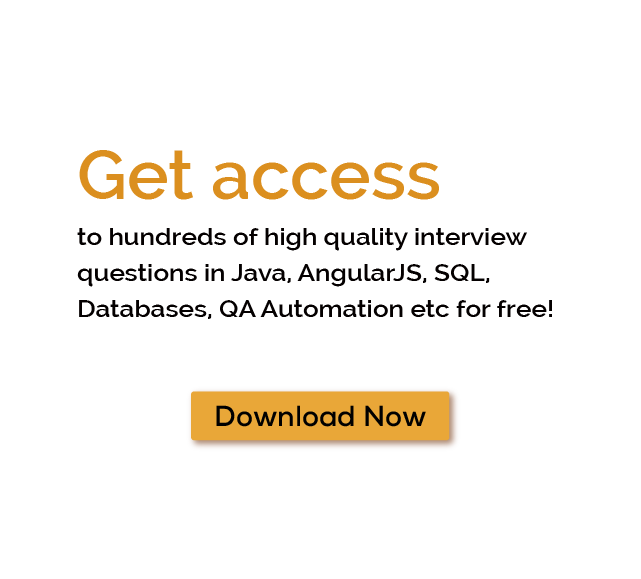 Download more High Quality iOS Interview Questions! iOS is an operating system for mobiles which was developed by Apple Inc. It is the second most popular operating system after Android. It was originally released in 2007. the iOS operating system runs on iPhone, iPad and iPod Touch devices. Apple releases a new version of iOS that is known as iOS 10. iOS Apps are available for download on App store. Around 2 million iOS apps are available on the Apple App store. iPhone is very popular because of its security features. The term iOS was originally known as iPhone OS and launched in 2007 along with first iPhone hardware. The iOS is a mobile-based software system that works like a computer system. It has contained a touch-friendly user interface, so when you use your finger on the touchscreen it works better. iOS utilizes a multi-touch interface. A multi-touch interface included with simple gesture that is used to operate the device. Architecture: - iOS used a multilayer architecture. Top layer of iOS works as intermediator. It connects App to hardware because a single app is not able to communicate with hardware directly. Lower layer of iOS provides some basic functionality. Higher level layer gives interface and graphics related services. iOS, system interface binds into a special package which is a framework. This framework is a directory file that contains dynamic shared library that is .a files, some resources like images, header image, and apps required to support that library. iOS architecture based on the following 4 layers, let's discuss that. Cocoa Touch Layer: - This is the top layer of an iOS architecture. It manage graphics and interface related services. GameKit Framework: - It support Game Center that allow a user to share their games related information. EventKit Framework: - It describe View Controller who sees various events on the interface. MapKit Framework: - Include the map-related functionality. iAD Framework: -This framework gives banner-based advertisement from App. PushKit Framework: - Provides registration support for VoIP Apps. Twitter Framework: - Create fresh URL that access Twitter services. UIKit Framework: - Provide the infrastructure for applying some graphics related functionality in event-driven apps. UIKit framework comes with some other functionality that supports multi-tasking, app management, User interface management, support motion events, and some basic functionality in the App. Media Layer: - It is the second layer in iOS architecture that support media related content. This layer enables the basic audio, video and graphics technology. AV Foundation: - It is an interface that supports audio, video playback and recording. Media Player Framework: - Supports playlist and provide basic use of iTunes for user. OpenAL: - It is a technology that provides audio. Core Media: - Contain low-level interface and data types for media. AV Foundation: - Provide advance recording and video playback related services. AVKit Framework: - It support video playback on the user interface. UIKit Graphics: - Used for animating the content and support to design high-level images. Core Graphics Framework: - Support custom 2D vector. It works like drawing engine for iOS. Core Animation: - This technology optimize the animation. Metal: - Provide graphics rendering. Cloud Kit Framework: - It provide the connectivity which helps to move data from app to iCloud. Address book Framework: - It gives programmatic access to contact. Core Data Framework: - This technology manages the data model of the MVC app. Core Foundation Framework: - It provide data management and some advance services and features for iOS applications. Core Location Framework: - Location and Heading information to app. Core Motion Framework: - Access Motion based data available on the device. HealthKit Framework: - Handle health-related information of User. Social Framework: - Interface that allow a user to use social platform. StoreKit Framework: - Support services. Core OS Layer: - The Core OS layer contain the low-level features. iOS App Store: - The App store is a digital distribution platform. It is developed by Apple through which users are allow to download iOS Apps. App store was released in 2008, till now millions of Apps are available on the store. iOS App Development: - If you want to start developing iOS App start learning how to create app that runs on iPad or iPhone. There are many companies that provide the mobile app development services on low cost. An iPhone App development company create beautiful apps and also provide many features in iOS App. The iOS SDK (Software Development Kit) allow iOS developer to develop iPhone app for iOS platform. A iOS app development company are capable enough to build high-performance large scale applications. iOS also support 64-bit app development that enables application to run faster. Apple invests a big amount in Indian market because many iOS app development companies available in India that gives best iPhone app development services. Many Indian app developers working on iOS platform and build ultimate mobile Apps. Some of the many iOS Interview Questions listed below will help you get an idea about what questions gets asked in such jobs related to Software Engineering & Tech. Get through the iOS Interview bar with our selected iOS Interview Questions for all iOS enthusiasts! For thousands of similar iOS Interview Questions login to our Website or download EduThrill. Experience the thrill of challenging people around the world on iOS Interview Questions!